This topic has 0 replies, 1 voice, and was last updated 2 years ago by Brett Warthen. Parkinson’s patients who passed on Azilect due to cost (and price gouging by the manufacturer) may want to reconsider with a generic available since January 2017 (Rasagaline Mesylate). After adjusting for identifiable confounding factors, investigators identified a significant association between longer duration of MAO-B inhibitor exposure and slower clinical decline. A one year increase in duration of MAO-B inhibitor exposure was associated with a benefit equivalent in magnitude to approximately 20% of the annual decline in Activities of Daily Living, Ambulatory Capacity, and Global Disability observed in participants not receiving an MAO-B inhibitor. These findings support the possibility that MAO-B inhibitors slow clinical disease progression. Positive outcomes from Azilect were also reported last year in the Patient-Reported Outcomes in PD (PRO-PD) survey conducted by Bastyr University. 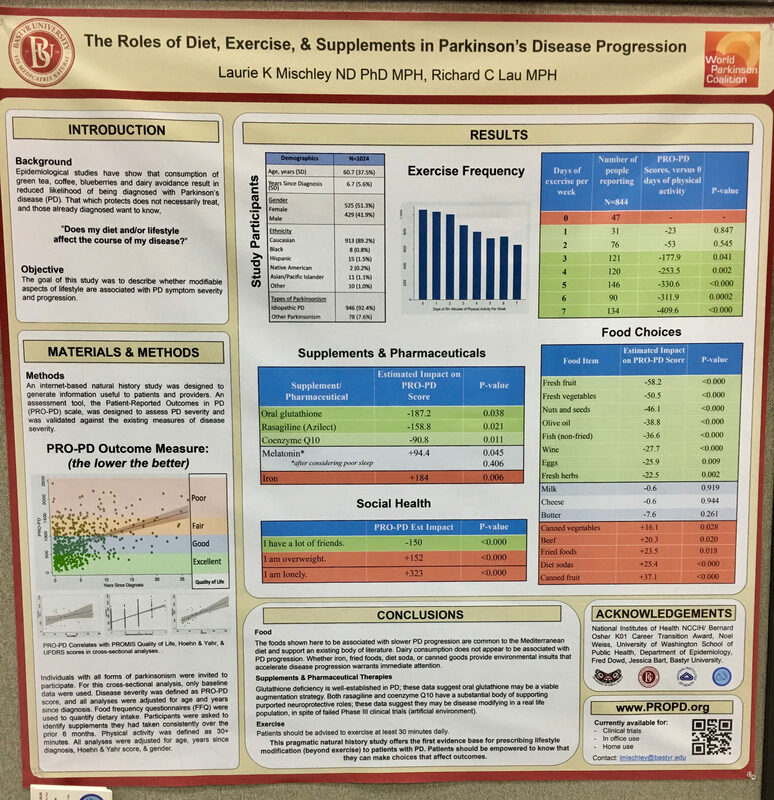 This was a self-reported survey that asked PwP about their diet, exercise and supplement regimens, and correlates this information with a self-assessment of PD progression.